Good Morning! Happy Tuesday. I am so excited that this is my "friday" at work. I am off for the next few days and I get to have a day to myself. Can you say RECHARGE! Whoo-hoo. This week's sketch is posted and I think it's a fun one. We're sponsored by Bugaboo and my card features Brat - Thanksgiving. Appropriate, don't you think? I think the Brat line is one of favorites, I tend to choose them a lot! I really like the simplicity of my card and the Fall colors. I really hope to see you over at the TMS blog playing along. C'mon let the guys have their turkey coma and football games. Come stamp with us! Good Morning. Happy Friday!! I am so happy that Friday is finally here, I'm sure you are, too. Before I show you the card I made, the Stamp Doctor herself just celebrated a birthday. If you'd like to see the cards that RN Lizzie and the EMTs made to celebrate her special day, just visit Lizzie's blog and do the little hop. You will surely be inspired along the way. And now for today's card. I always aspire to look at "old" things in a "new" way. So I set off to try something fun with some Spellbinders dies in a different way. 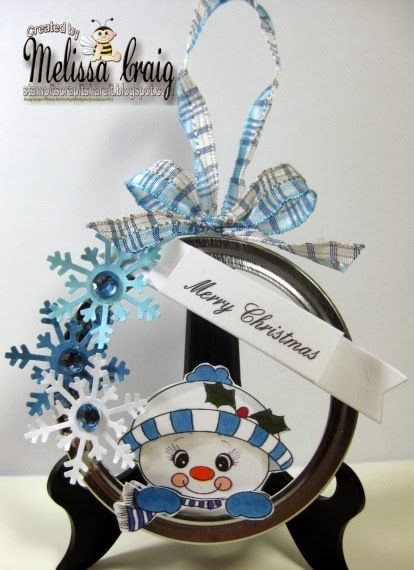 I made this using Spellbinders dies: Scalloped Circles, Oval dies, Blossoms Tags & Accents dies. 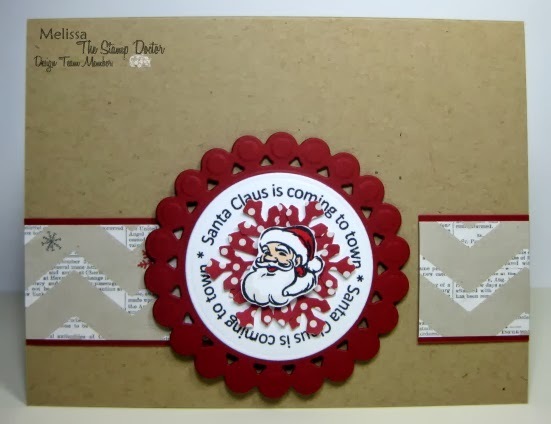 TSD stamps are from Santa Circles set. Paper is by Teresa Collins. 1. Cut 2 scalloped circles from white card stock. Emboss these with any texture plate (M-Bossibilities have lots of choices) or use white puff paint. Ink the smaller circle with a touch of gray so that it stands out a little. Adhere to larger circle. 2. 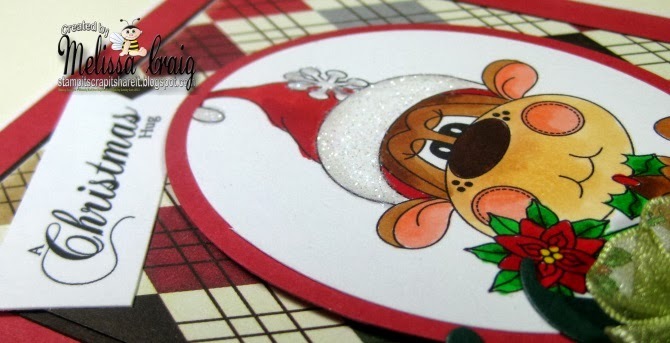 Cut out oval from flesh colored card stock and ink it just a little with dark pink ink for cheeks. 3. Punch out little white circles and little black circles and little flesh colored circle for eyes and nose. I did punch out 1/4" circle from red for his lower lip. I also used an old flower punch to make the mustache. Adhere as I did. 4. Now cut a 2 x 4 inch rectangle from red card stock and cut in half from bottom left point to top right point. Score the short straight edge about 1/2 - 3/4" inch and fold over. Adhere as I did. 5. Using one of the dies from the Blossoms Tags & Accents dies, cut white card stock for the puff ball accent on his hat. Add buttons to create cuff on hat. 6. Add your sentiments to the base of the card. Hello! How are you? I am so happy that it's Thursday - because we're one day closer to the Thanksgiving holiday and I have some vacation time coming. Whoo-hoo! But I am also happy because it's Delightful Challenges day and I love love love when we do ANYTHING BUT A CARD because I get to play with all sorts of fun things. Not that cards... techniques... and such aren't fun - this challenge is just extra fun for me. Is this not cute? What a super easy project, too. I printed her twice because the base image is behind the ring. Then I needed the hands/scarf to place over top in front of the ring. I punched out a few snowflakes, blinged them up just a little and created a banner with my sentiment. I had it together in 15 minutes and that includes coloring! We'll see you over at the Delightful Challenges blog - I can't wait to see what you make! Good Morning! So there is a special Dr (of stamps) that thought she could slip by her birthday going unnoticed. Well, her right hand RN and faithful EMTs are here to not let that happen. Welcome to our version of a birthday party for our Doctor Mechele! Insert confetti and horns blowing. Here is a card I created to wish Mechele a very happy birthday. 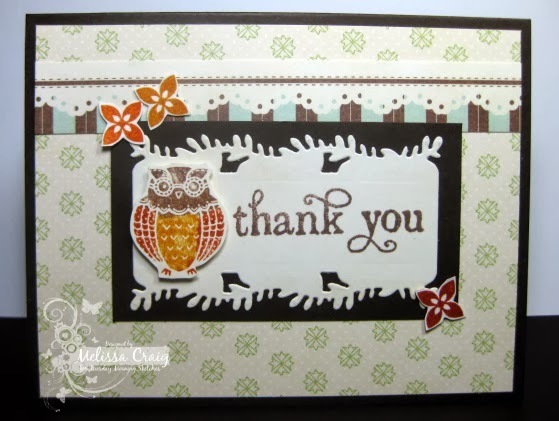 My card features the beautiful TSD stamp Poppy Corner (G029), Labels One Spellbinders Dies (S4-161) and Blossoms & Accents Spellbinders Dies. Please note: the sentiment is not available at TSD, it's all I had at the moment. But let me suggest A018 Candle & Make a Wish (it's $3.00!!). I am really pleased with how my card turned out. The paper is from My Mind's Eye (Dolled Up). The ribbon, twine and button are from my stash of embellishments. Happy Birthday Mechele. I hope your day is filled with fun, laughter, wishes that have come true and lots of chocolate cake! 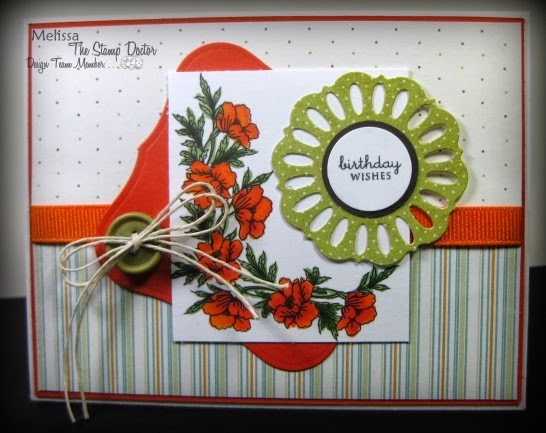 Your next stop on this birthday blog hop is EMT Luisa's blog. Enjoy! Good Morning! It's Tuesday and that means a great sketch is up at Tuesday Morning Sketches and an awesome sponsor is joining us this week. We have Paper Pretties joining us and I couldn't be more excited. This week's card features one of my favorite images drawn by ARTish called Esspress Delivery. This is certainly how I feel I need to function some mornings.... just give me a caffeine drip! I know Jessi is going to love this card because she's got a deep and meaningful relationship with coffee - like me. I am also thrilled to get to play along with Just Us Girls' challenge (color)! I haven't joined one of their challenges in so long. Have you all missed me? LOL Don't answer that. Now head on over to TMS to play along, leave some love for my team and just enjoy yourself! Hello my friends! I hope you're week is going well. Mine is going quite nicely, I think the OT is finally winding down and I can assume a somewhat normal life again. As I write this blog entry, I am eating a small dish of ice cream (not something I can have very often) and Publix has their holiday flavors available. I'm enjoying Egg Nog ice cream and it is too die for! Yummy!! Speaking of holidays, here in the US we have Thanksgiving quickly approaching. Not one of my favorite holidays, but it'll be nice to be off for a couple of days. That's something to be thankful for. I've noticed that many of my friends are posting on Facebook what they're thankful for and although I'm not doing that I am truly thankful for my health, my children, my job, my family & friends, my hobbies and my Kindle. What are you thankful for? Who do you need to say "thank you" to? So I started out making a suspension card with these images, but I messed up, so it became a window card! 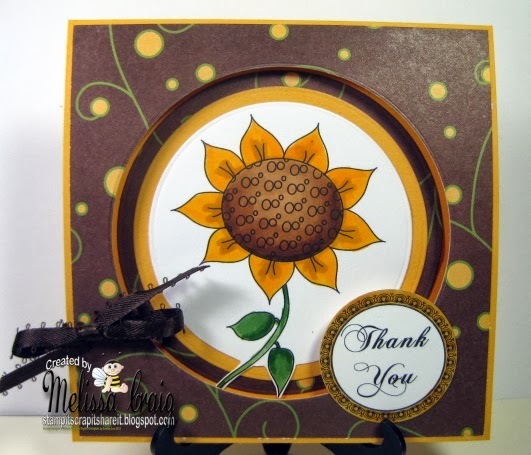 I love sunflowers and fall colors so this card was really fun to put together. Easy, too. It really did become a happy mistake. My card features Fall Sunflower and Thank You sentiment. Good Morning! Happy Tuesday. We've got a brand new sketch up on the TMS blog and it's the Judged Challenge week, so the added twist is THANK YOU cards. Please head on over to TMS to see some really fabulous creations by the design team! Have a great day. 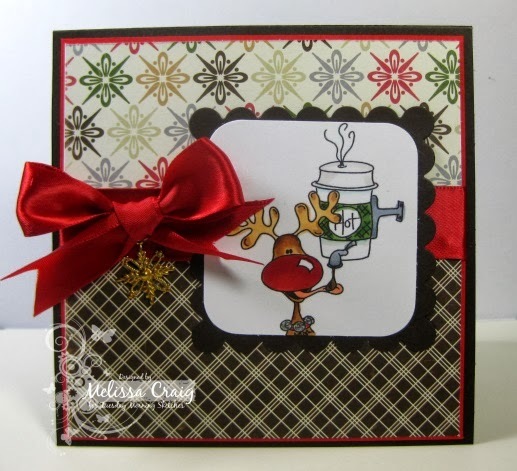 Today is my day to post on The Stamp Doctor blog - this month the Dr. Mechele, RN Lizzie and the EMTs are sharing holiday cards. I really meant to something for Thanksgiving, but I have been enjoying playing with Christmas cards. I think this is a great clean and simple card and packs a lot of punch. I would enjoy receiving this card during the Christmas season. 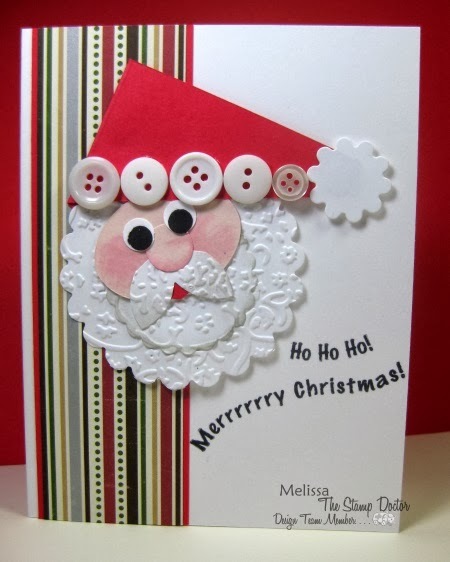 My card features Santa Claus Circles, Beaded Circles Spellbinders dies and this great Christmas paper called Santa's List by Teresa Collins. Good Morning! I hope everyone is enjoying their week so far. Mine is going pretty well, still working tons of extra hours but yay, I'll have Christmas money. We're also using some super duper cute images that have just be released. I'm featuring Festive Monkey. 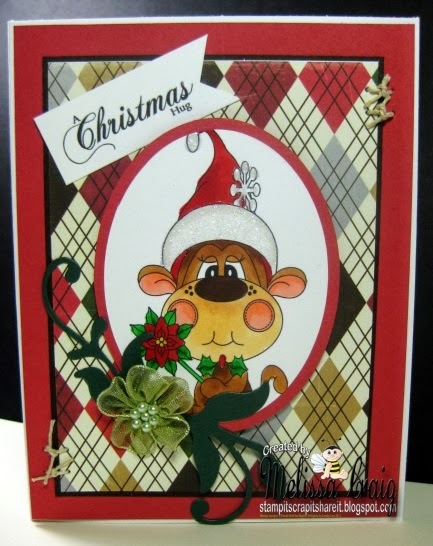 I am also featuring Christmas Hugs sentiment set. The card layout is from this week's Tuesday Morning Sketches sketch. This angle was supposed to show the glittered hat brim and snowflake. Maybe it's the lighting I am typing by, but for the life of me, I cannot see that pretty glitter. It's there I promise. Also the flower is pretty shimmery which reminds me of glitter. At any rate, come on over to the Delightful Challenge blog and play with us! Then head on over to the shop to score some great digis at 20% off a purchase of $10 or more. Just use the code THANKFUL. Good Morning! It's Tuesday and it's time for a new sketch at Tuesday Morning Sketches. I love this sketch, so pretty. This week's sponsor is My Creative Classroom. I simply must take one of their classes! They look so fun and so informative. This picture was take a few years ago of Karin and I - I just love this picture and I am so happy with how my page turned out. It worked great with the sketch. Please come join us! Good Morning! I hope you had a great weekend and enjoyed that extra hour. I know I did. 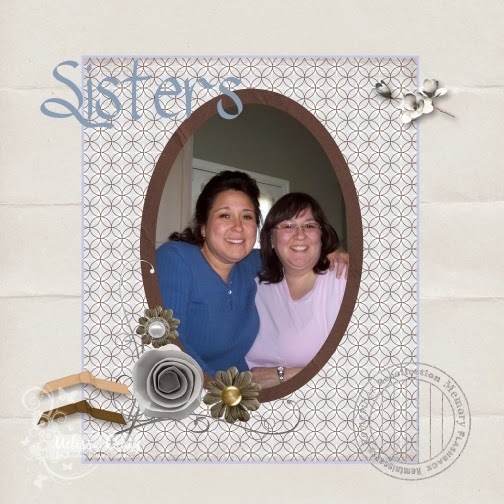 Saturday was Digital Scrapbooking day so I played along with the challenges that MyMemories had going on all day. Yesterday I slept in and still got up on time. It was nice sleeping til 8:00 body time but 7:00 daylight savings time. Then I worked on cards and did more scrapbooking and even did a little crocheting. Yep, that's what good weekends are made of. 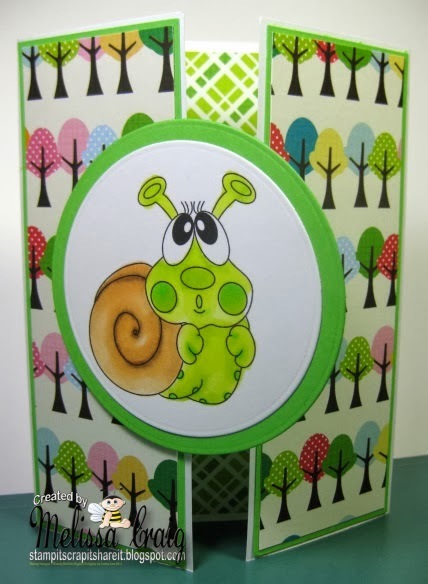 So I really enjoyed the scrapbooking, so much that I kept going and created a page using Deedee's Digis newest set Daniel's Tree. This starts the progressive challenge for the month. You can read all about the challenge here on the blog. The picture of my kids was taken 9 years ago. We were at a Christmas tree lot picking out our tree. Daniel's Tree was perfect for this page as well as the sentiment. It was such fun to put this page together after being inspired by so many talented scrapbookers on the MyMemories Facebook page.